CENSER is the brainchild of Lion Dr. Rajendra Agrawal who started his career in the field of advertising 48 years back at the young age of 19 years. His feel for the market place and a flair of communication led him to reach for the stars. Interestingly, today many of the bright starts of the advertising world have taken inspiration and training from him. He holds a Degree in Science, Masters Degree in Economics, Diploma in Advertising & Marketing, a Diploma in Journalism and a Doctorate in Liberal & Social Studies. He holds the Hon. Treasurer’s post in Advertising Agencies Guild since its foundation. A distinguished and accomplished person yet modest to the core about his achievements Dr. Agrawal has been conferred the ‘Excellence Award‘ for his outstanding contribution in the field of Advertising. He has also been honoured with ‘Vaish Gaurav’ Samman. He has created this website for the Vaish Community where all the Aggarwal Community members can keep all the information of their marriagable boys & girls.He has been honoured by Smt. Sheila Dikshit, Hon’ble Chief Minister Delhi for his outstanding contribution towards the upliftment of the Society. He is the Founder Chairman of this foundation. Joined lionism on 2nd Oct. 1993 as Charter Secretary of Lions Club Pitampura South. In the following year he was designated District Chairman Blood Donation and helped collecting more than 10,000 units in the District. 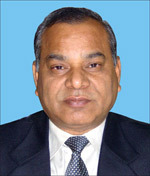 In the year 2006-2007 he was nominated as District Cabinet Secretary. He was honoured with ‘Ambassador of Goodwill’ award by the Lions International Distt. 321-A2. At present he is President of Lions Blood Bank,Delhi. Besides taking active part in social and charitable events he is fond of Reading & Travelling. He has visited USA, Australia, New Zealand, Malaysia, Indonesia, Hong Kong, Thailand, Singapore, Italy, Germany, Belgium, France, Switzerland and Mauritius. He has written a very interesting book, ‘ACHHE LOGON KE SAATH BURA KYON HOTA HAI’- which is very popular among Hindi readers.